I don't know about you, but here in Nashville, things are still hot and steamy. It doesn't feel like we are ever going to get the crisp Fall weather that makes running that much more joyful. 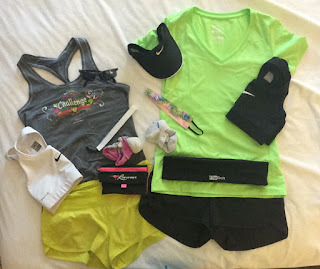 However, I'm going to use a little wishful thinking today and am linking up with some other lovely bloggers for Tuesdays on the Run - Marcia and Janelle. So here we go! Dreaming of Fall weather! So has anyone missed that I'm heading to Disneyland this weekend??? Okay, so technically not Fall, but thought I would throw it in one more time because I'm really excited! This is part of the National Parks series and I am really excited about it. This race is in its third year, but this is the first year for the Black Bear Double Dare. Bonus medal? I couldn't resist. It will be set just outside the Great Smoky Mountains National Park, which should be absolutely lovely. Then there is a pretty big gap in my race calendar ... I think I will have to find something in the late September-early October time frame to throw in there. Yikes. Yes, this is happening. Think happy thoughts for me. I'll have to find some Thanksgiving Day race to throw in here. Last year I ran the Boulevard Bolt, which I really ejoyed. This is probably considered a Winter race, but there you go. That rounds things out for the year! Will you be running any of these races? Any suggestions for great Fall races? 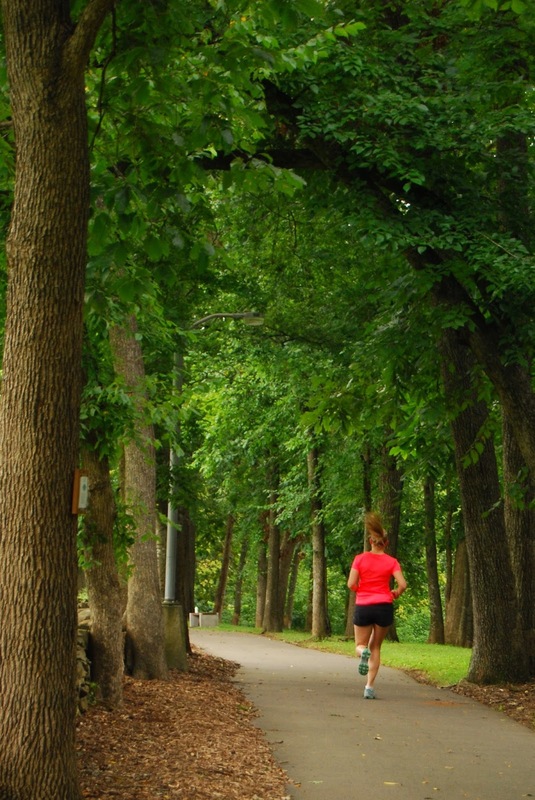 What is the best part of Fall running? Noah's Light Foundation was created by a little boy's mother while he was being treated for a brain tumor. During his ordeal, she discovered that not nearly enough money was being allocated to finding cures specifically for children. Noah died before his ninth birthday, but that has not stopped his family and supporters from working tirelessly toward their goal. That goal is all about the NOAH Protocol - an alternative to aggressive chemotherapy. That means that they offer guaranteed entry to multiple race distances/challenges for each of these runDisney events if you commit to raising certain amounts of money for their cause. They help you with setting up your own fundraising site to communicate with supporters and track your progress. 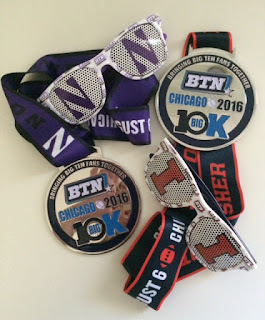 Once you raise the minimum dollar amount, Team Noah runners receive a tech shirt, swag bag, and Team Noah medal. There are also incentives for raising more than the minimum! Already registered for a runDisney race? You can still raise money and be a Team Noah runner with the same great benefits. Maybe you don't have runDisney on your calendar this year? You can sign up to become a Noah's Light eRACEr. Athletes of any sport or participating in any event can raise money and show their support for Noah's Light Foundation. You can find all of this information and much more on their website. Not the charity for you? That's okay - there are hundreds of wonderful charities that have joined forces with runners and races to help advance their efforts. Come back next month to learn about another great charity! 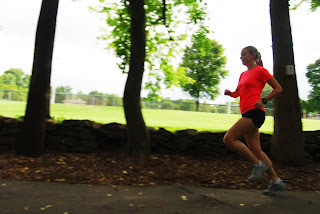 I was on the phone with my mom the other day (she's one bad mother runner, just having completed her second half IRONMAN) talking about her training. Then she said something that made little warning bells go off in my brain; she said that she took Advil before her long runs. For some reason, I had a feeling this was bad, but I couldn't tell her exactly why. So, I did some research to re-educate myself and wanted to share it. Please note, I am not a doctor and everyone should consult a medical professional before starting or stopping any course of medication. So here's the deal - no one wants to be in pain. Pain is not fun and running is supposed to be fun. So it would seem to make sense that someone wanting to run better, faster, longer might want to take a painkiller prior to a hard effort. Bad news is that studies have shown that taking ibuprofen prior to a race doesn't really make the effort seem easier. In another study, researchers found that athletes who took analgesics (over the counter painkillers) prior to a marathon suffered more pain after the race than those who didn't. Mixed with physical exertion and dehydration, the ingredients in NSAIDs can overwhelm your kidneys. NSAIDs block an enzyme that protects your heart, raising the potential for heart attacks. NSAIDs can bump up your blood pressure, which also goes up when you exercise, and could potentially lead to heart attack or stroke. During really long runs, NSAIDs can also increase the risk of hyponatremia (an imbalance in electrolytes that causes your brain to swell). NSAIDs can cause digestive distress, including nausea, diarrhea, cramps, and intestinal bleeding. No problem, you're thinking, I can swap that out for Tylenol. While acetomenophen doesn't have the same highly risky side effects as ibuprofen, it isn't entirely safe either. Take too much and it can cause liver problems, especially if mixed with alcohol. It's also a common ingredient in cold and allergy medications, so "overdosing" can happen without even realizing it. 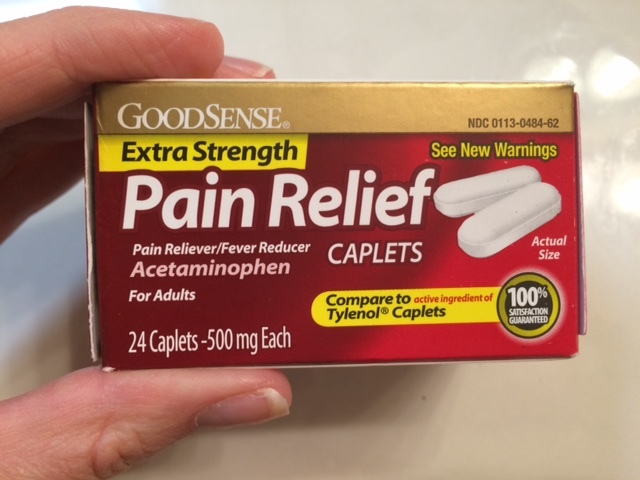 Your safest best is to avoid any painkillers prior to running, and if you need them during or after, to be extremely careful with what you choose and how much you take (and consider any other medications you may already be taking). Remember, inflammation and soreness is actually your body healing itself. So be safe out there, listen to your body, and when in doubt give your doctor a ring. Few things make me crazier when I'm running than hair in my face. Seriously drives me nuts. And I have all these little baby hairs all around my face I once heard called "angel hairs," but anyone who has them know that they are really demon hairs. So I don't mess around when it comes to tying back my tresses. 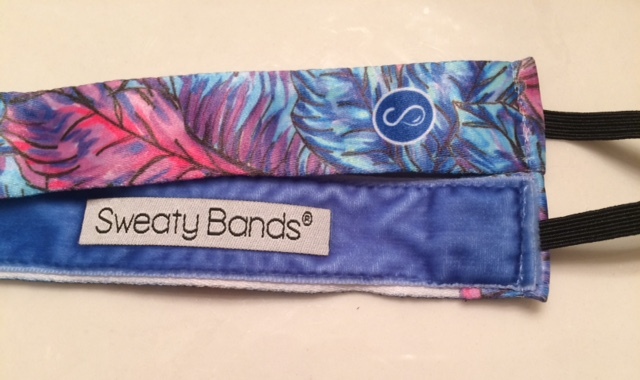 I've tried multiple options, but I'll tell you right now that nothing has worked better for me than Sweaty Bands. One of my favorites - a 5/8 inch width. The bands fit my head perfectly. They do have a "petite collection" for those with smaller heads or kids. My mom tried them and said they felt too small for her head, but she's the first one I've heard say this. Silver lining there was that she gave me the bands she bought! 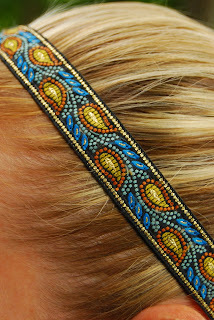 There are several different widths to choose from (my favorites are the 3/8, 5/8, and 1 inch) and often multiple color combinations for each design. 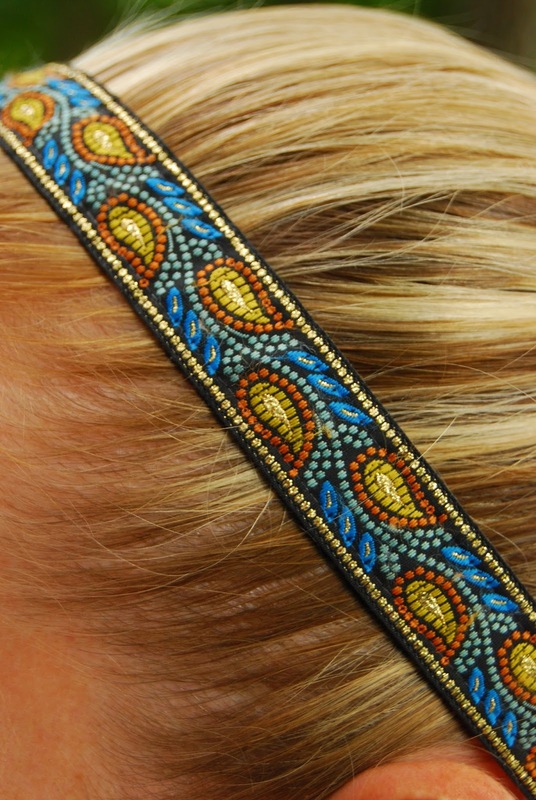 The magic to these bands is the velvet lining that locks them like Velcro in your hair. 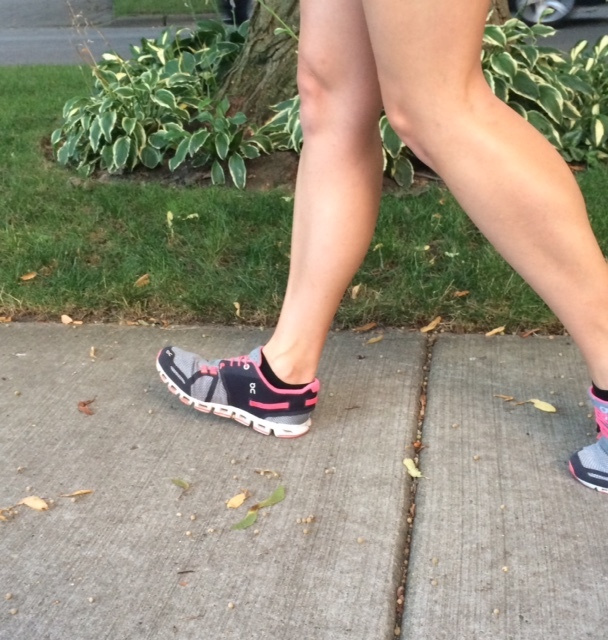 It's annoying to have to shift your clothes or gear around mid-run, but these don't budge. I did six hot miles with a friend last weekend and she commented that my hair/Sweaty Band was in exactly the same place as when we started. 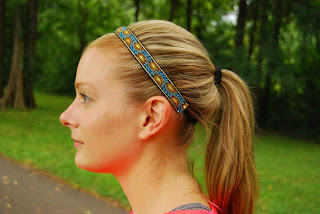 Sweaty Bands don't come cheap - depending on the width they run anywhere between $12-$18 each. However, they often have sales and deals. 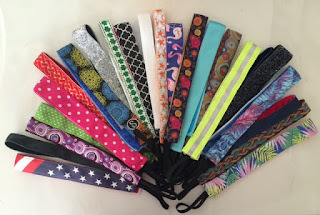 Confession, this isn't even half of the Sweaty Bands I own. I may have a problem! I'm telling you, I don't run without them and over the years, I have accumulated quite the collection. A girl has to have options that will match every outfit right? They have great styles and new ones are coming out all the time. They also do custom bands! Part of why I've amassed such stockpile is that they really last. I threw my first one out just last month because the elastic finally gave out ... after 8 years. I'm not gentle with them either. The website advises that you hand wash and "drip dry." I put them in a delicates bag and toss them in my washing machine with my laundry, and then hang the whole bag on my drying rack. Functional and pretty; that's a winning combination! Sweaty Bands are more accessible now than ever - online, at numerous expos, and even in local running stores. Give them a try and I feel confident they will help you keep running happy and focused on more important things than pulling the hair out of your eyes. And in case you are wondering, I have not been asked to write this review nor have I been compensated to do so - they are just THAT good! I have to tell you that running expos are amazing - you find good stuff, silly stuff, unusual stuff - and everyone goes hoping to find the next miracle product/shoe/fuel. At the last Tinkerbell Half Marathon, a friend of mine announced that when we went to the expo, we had to go to the "Electric Foam Roller" booth. Now, for anyone new to this sport, foam rolling is one of those things that you know you should do because it works out stiff/sore/tight spots, but really hate doing because it's painful. I mean who voluntarily wants to inflict pain on themselves? 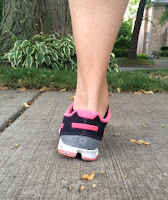 I have chronically tight achilles tendons - if I don't rub or roll them practically every day, they hurt me so badly for the first few miles of running that I want to cry. I've ditched high heels, used The Stick, bought multiple Foam Rollers, KT taped myself, but I continue to have this nagging issue. So I expected nothing from this "electric foam roller," but when I learned it was endorsed by Jeff Galloway (running genius and all around wonderful human being), I agreed to go. When we got there, we were asked to sit down and try "The BFF," which is a multipurpose tool for massage therapy, moisturization, recovery, and hair removal (yes, it comes with a super fine sandpaper-like pad that painlessly removes hair). I tried it and liked it, but my friend was in love and had to have it THAT DAY. With a $300 price tag (though they did offer an expo discount that day), I balked. The salesman told me that this would fix my achilles issues, but I was still skeptical. My friend bought it and told me I could test it out while we were in Anaheim. I used it that entire weekend, and I have to tell you that I really did like it .. . like a lot. It felt good and, whether it was the BFF or not, I didn't have any achilles troubles during the 10k or half marathon. I began lusting after this massage miracle, but just couldn't justify spending that kind of money. After flying back to Nashville, I kicked myself for not buying it at the expo price and set my sights on the Disneyland Half Marathon expo in September, where I was hoping they would be back. And then another friend of mine said something brilliant, "isn't that basically a car buffer?" I've never buffed a car, but decided to do a little shopping and check it out. I went to Wal-Mart and looked at a couple of car buffers to compare specs, and ended up buying one for right around $20. The buffer I purchased has the same pad size (6 inches), same power, same voltage, and a few more rotations per minute (compared to the single speed and the highest setting of the multi-speed). It does not have a 12 foot cord, pad for moisturization or hair removal, mustache stickers, and is just not as nice looking as the BFF. I decided to give it a try anyway and I have to tell you that not a day has gone by that I have not used it. I have no scientific evidence to back up any claims that it has improved my joint/muscle/circulatory health, but I can say that it just feels good and has helped my calves/achilles. My foam rollers are now sitting neglected and collecting dust. Do I wish I had the BFF? Well sure! I mean it comes in hot pink! I'd use it every day and probably bedazzle it with my initials. 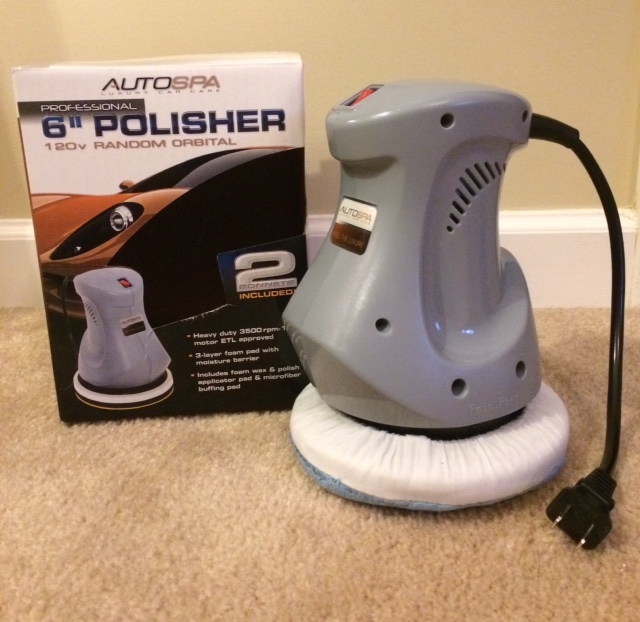 That being said, I cannot justify the price knowing that I can achieve similar (if not identical) results with my little car buffer for a fraction of the price. I would definitely recommend it - anything that gives me some achilles pain relief is worth it. If you go to a massage therapist or chiropractor, you may have had a device like this used on you. This is an affordable, home remedy that is also compact enough for travel. So get your buff on and get ready for better, happier runs! In our heads, we all understand the concept of food as fuel. Why then is it so difficult to figure out the right things to eat to power through our runs and support our recovery? Without getting too complicated here, and to avoid an insanely long post about the sad state of nutrition, the short version is that eating is more complicated now than ever. There are new diets, new intolerances, and new food heroes and enemies every day. 1. Balanced daily nutrition is essential. You get out what you put in. 2. 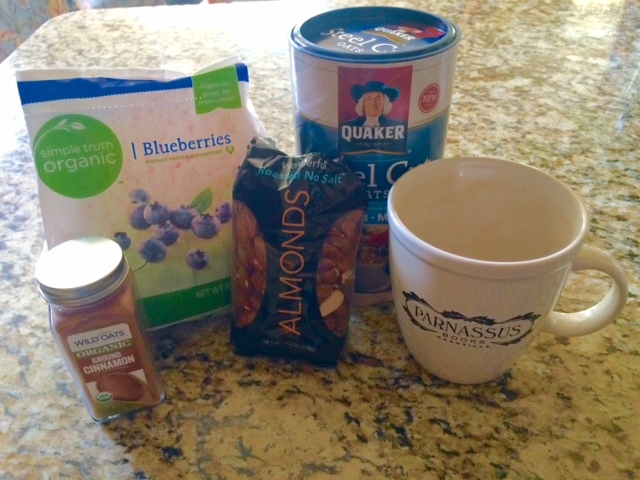 Running strength and recovery depends heavily on the right mix and timing of three things - carbs, sugar, and protein. I'll be honest here - I am not allergic to anything, I'm not gluten intolerant, I'm a friend to dairy - but I do have a bit of a sensitive stomach. That is part of why I like to run in the morning - less potential for food choices to mess with my digestive system. So this is what works for me; with my schedule it has to be the right nutrition, but it has to be simple, easy to repeat, and convenient. Every human body is going to be a little different, so play with it to see what works for you! I typically don't eat before I run, but immediately afterwards, I'll have a bowl of cereal (yellow box Cheerios) with fresh fruit and almond mild, and a cup of coffee (i.e. a mix of carbs, sugar, and protein). My favorite pre-long run breakfast is steel cut oats with frozen blueberries, cinnamon (helps regulate your blood sugar to avoid spikes), and almonds (continuation of the carbs, sugar, protein theme). I do have coffee with my breakfast for the caffeine boost, but you do have to be a little careful with coffee because it makes you poop (yes, I said it) and you've got to time that right. I try to make sure I have at least an hour between eating and running. After a long run, getting protein within 30 minutes of your effort is important to helping your muscles recover. Here's the bad news for all of you carb haters out there. Hard athletic efforts deplete your glycogen stores (i.e. your energy), and if you just give your body protein, it will use that protein to replace your glycogen and your poor muscles will be left to their own devices to repair themselves. However, if you give them a little extra love and balance (all together now: carbs, sugar, and protein), you'll be able to replace your glycogen and help those muscles that just worked so hard for you. My recovery nutrition of choice is organic low-fat chocolate milk. Don't forget your nutrition the day before long or hard runs either! A good breakfast can sure help, but cannot entirely erase a prior day of bad eating. Running is hard, but it is rewarding. Make sure you're giving your whole body every possible advantage. Training days are the right time to tweak your nutrition and really find out what works for you. Then, you'll be ready for race day if and when it arrives. Trust me, that is not generally the day you want to majorly change up your diet! Another exciting medals Monday courtesy of runDisney! We previously got a "teaser" with the release of the updated Wine and Dine Half Marathon medal and the announcement of 5k medals being converted from rubber to metal. Today, runDisney released the full lineup of medals up for grabs during November's Wine and Dine Half Marathon weekend. With the addition of a new 10k and Challenge (10k plus the Half Marathon), this shapes up to be an exciting weekend! This race weekend has been the subject of some controversy since runDisney changed it from a night race (the only one remaining) to a morning race. Runners can be intense, Disney fans (myself included) are super intense, and when you combine the two ... well we can be one passionate group of people! Regardless of where you stand on the night v. day debate, nearly everyone can rally around these medals being lovely. I am envious of anyone earning them later this year - inaugural and anniversary years are extra special. Nearly the entire event is sold out for 2016 (the exception is the kids races), but if you just have to have these medals, there may be some charity running spots still available. Sadly, I will not be there, but I think the Wine and Dine Half Marathon weekend will just have to make my running calendar next year. What was that you said? You want one more look at the Lumiere's Challenge lineup? Don't have to ask me twice! For everyone headed to Walt Disney World for these races, good luck with your training and happy running! Think August is too hot to run a race? Think again! This one has become a bit of an annual tradition for my mom and me, and it seems to be getting bigger and better every year (2016 marks its 5th anniversary). The Big Ten Network 10k (they also have a 5k) brings fans of Big 10 teams together, along with anyone just looking for a nice race in the middle of summer. This is a no brainer for me because I can combine a trip back to my home town, a run with my mom, and a chance to represent my Alma Mater (Northwestern) all in one! Generally, you don't see many people wearing their race shirts for the actual race, but this one is a bit different because it's all about school pride. When you register, you indicate which school you want, but there is also an "unaffiliated" option that gives you a classic blue on blue look. This race definitely has a tailgate feel - complete with mascots, cheerleaders, and fight songs. Starting line - ready to run! 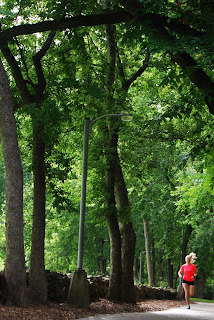 The course changed this year, giving it a more urban feel, starting right around Grant Park at the lakefront. We got lucky today, the heat and humidity took a bit of a break. My mom and I stuck together (per usual) and enjoyed the day. I have to admit I did get a bit of satisfaction passing people from rival schools! Added bonus of this race is that they serve Nuun on the course, and in case you're not aware, I'm a huge fan. Maybe we will see you out on the course next year, because I have a very good feeling I'll be back. Happy running and go cats! Alright Cinderella, you've decide you've wanted to go to the ball (and by "go to the ball" of course I mean "go for a run"). One of the few things you absolutely have to have is a good pair of running shoes that fit you right. However, with tons of brands and hundreds of models, where do you even begin? The best place to start is a reputable running store that is going to actually analyze how you run. 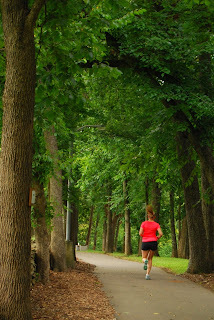 Now don't freak out, I'll give you a few things to think about before you get there, but one of the limitations of running is that you can't watch yourself do it. To really know how you run, you have to have someone watch you (or record you) and best if they know a little something about, well about running. If a running store won't or doesn't analyze how you run (i.e. watch your form from the front, back, and sides), find a new store. When they watch you run, they are going to be looking for a few key things. The first is how your foot "strikes" the ground. 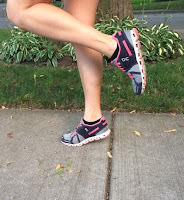 You are either going to be a forefoot, mid-foot, or heel striker. Over the years, opinions have varied about what form is "better," but especially when you're starting, don't begin by trying to completely overhaul yourself. 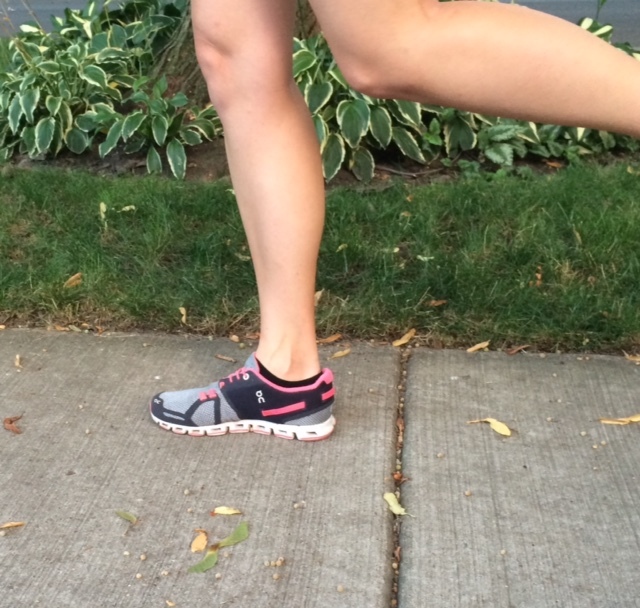 Different shoe models are better suited for different strike forms. 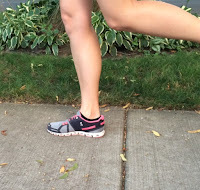 Next, they are going to look at pronation (which means if your foot rolls in or out when you run). 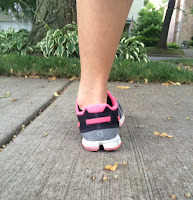 If you do pronate (roll in) or supinate (roll out), you are going to want to look at a category of shoe called "stability," which will provide more support and encourage good form. If you are a neutral runner (no rolling), you'll want to look at a category of shoe called "neutral." Then we get into personal preference (the fun stuff)! One of the big question is do you want a more cushioned or more of a minimalist shoe? Minimalist shoes give you more "feel" of the ground or a more "active" feeling. More recent years have brought about the rise of the more cushioned shoe, which give you a "softer" or more "springier" feeling. Neither is better, it's about what works for you. 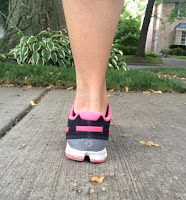 For me, it's the cushier the better and I try to find the lightest shoes in the "cushioned" category that I can (the flip side of a highly cushioned shoe is that the cushion has to come from somewhere, which can make it heavier). The more minimalist On "Cloud" (left) and more cushioned Hoka "Stinson" (right). Once you have your shoe categories down, you're going to want to pay attention to your foot shape. 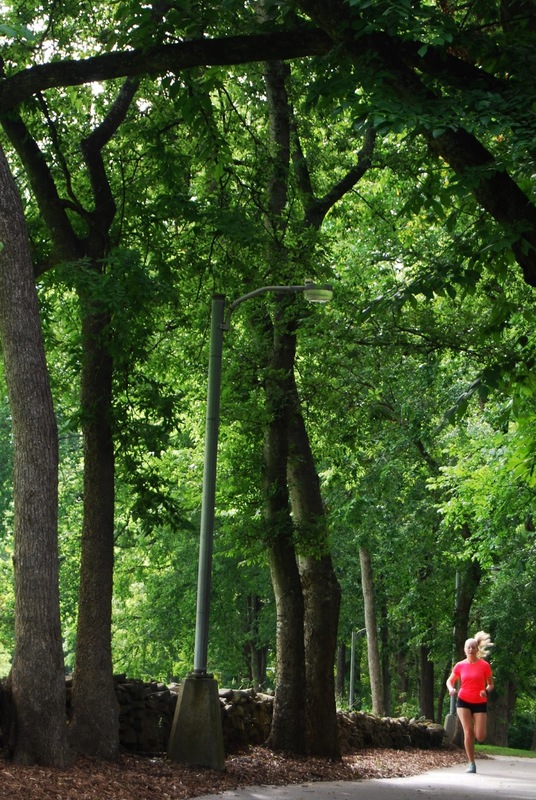 It will feel weird, but know that you're going to want to size up in running shoes. There should be some space at the front and you'll want to make sure that the toe box (front of the shoe) has enough space (width) for your forefoot. Shoes that are too small can result in numbness, blisters, and lost toenails among other things. That being said, you don't want to get them SO big that you're feet are sliding around inside. If you have high or low arches, the store may suggest shoe inserts or orthotics (but that's a subject for another blog). Make sure you have enough room toward the front of your shoe! Last (but certainly not least), you get to pick your color! Most models come in multiple colors, so pick your favorite and get ready for a great run. Most running stores have a generous return policy, so if the shoes you pick don't end up working for you, you can take them back to try something different. You don't want to compromise on shoes - getting the wrong ones can cause real problems throughout your body. So don't fear the running store! Now you know what they are going to look for and ask, and can be a more informed running consumer. So what are you waiting for? Go out and get your "glass slippers!" Happy running! Bonus: most local running stores also support community running events! Support the stores that sponsor your races!